Global health scholar Henry Blumberg, leading epidemiologist Umesh Parashar and longtime International Student & Scholar Services director Lelia Crawford have been selected as the 2014 recipients of the prestigious awards presented by Emory's Office of International Affairs each year. They will be recognized at International Awards Night Nov. 17 at the Emory Conference Center Hotel. "This year's award winners exemplify how international Emory has become, both through their work abroad and at Emory," says Philip Wainwright, vice provost for international affairs. "I am very pleased that each year we receive more nominations than in the past, and that they continue to highlight Emory's engagement with global issues and the great achievements of our community." Blumberg will receive the Marion V. Creekmore Award for Internationalization, which is given to an Emory faculty member who advances the university's commitment to internationalization. 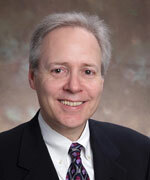 Blumberg is professor of medicine in the Division of Infectious Diseases in the School of Medicine and professor of epidemiology and global health at the Rollins School of Public Health. He also serves as director of clinical and translational research training programs at Emory, which includes the Research Education, Training and Career Development program of the Atlanta Clinical and Translational Science Institute. He has major, longstanding tuberculosis-related research and research training activities in the Republic of Georgia and Ethiopia. He is principal investigator (PI) for two NIH Fogarty International Center Global Infectious Diseases grants — one in Georgia and the other in Ethiopia — for tuberculosis (TB) research training, including real-time distance learning courses. Blumberg is also PI at Emory for the CDC-funded TB Epidemiologic Studies Consortium, a 10-member multicenter consortium that carries out TB-related epidemiologic and diagnostic studies focused particularly on latent TB infection. "Through consistent leadership and the weaving of multiple training and research frameworks, Dr. Blumberg has opened the door to global health research and service to countless Emory medical students, graduate students, and junior faculty, while tirelessly providing excellent mentorship," says Lisa Sharling, associate director of research projects in the Division of Infectious Diseases. Blumberg is co-director for the Emory Global Health Residency Scholars Program, which provides opportunities for senior Emory residents and fellows to have a global health experience in Ethiopia in collaboration with AAU and their Black Lion Hospital in Addis Ababa. The program provides opportunities each year for 20 residents and fellows and 20 Emory faculty to spend a month on a teaching and clinical rotation in Ethiopia. He is also co-director of Emory's participation in the Medical Education Partnership Initiative, which enhances medical education in sub-Saharan Africa. Parashar will receive this year's Sheth Distinguished International Alumni Award, which recognizes Emory's international alumni who have distinguished themselves through service to universities, governments or the private sector. Parashar leads the Enteric Viruses Epidemiology Team in the Division of Viral Diseases at the U.S. Centers for Disease Control and Prevention (CDC). He joined the CDC as an epidemic intelligence service officer in 1996 and has spent more than 18 years researching the epidemiology of viral gastroenteritis and methods for its prevention and control, including vaccination strategies against rotavirus gastroenteritis. He was the CDC co-lead of the working group that developed the recommendations for use of the new rotavirus vaccines in the United States. "At a time when the introduction of new vaccines has become a global priority, we are incredibly proud of the leadership provided by Dr. Parashar, an Emory alumnus, in using the skills developed during his time with us to mature and become an acclaimed leader of this global effort," says James Curran, dean of the Rollins School of Public Health. "A key component of his success has been his incredible resourcefulness, diplomacy and ability to focus on key problems and energize his group to function well and together at the highest level." 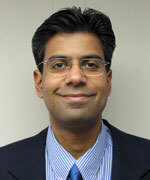 Parashar hails from India, where he completed medical school before earning his MPH from the Rollins School of Public Health in 1996. Crawford will receive the third annual International Outreach Award, which recognizes Emory staff who have made significant contributions to the internationalization of the university, as well as international professional networks in their fields. 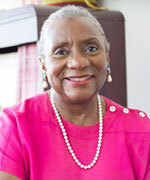 Crawford served as director of International Student & Scholar Services (ISSS) at Emory until her retirement in August, 35 years after she began her career at the university. During her tenure, the number of international students and scholars at Emory grew dramatically. The university's international student body more than doubled over the last decade to 2,400 students, now making up 16 percent of the overall student population. As director of ISSS, Crawford managed services for international students and scholars including orientation, immigration and other regulatory compliance, advocacy, training, and consulting for undergraduate and graduate students. ISSS also is responsible for the Exchange Visitor Program of the Department of State and all employment-based immigration for the university, including international faculty and visiting scholars. "Lelia has helped lead the way in coordinating administrative structures, strengthening academic support systems, and modifying learning experiences in ways that benefit international students," says John Ford, former senior vice president and dean of campus life. "She is an exemplary cultural ambassador for the U.S. and Emory." Crawford first joined Emory in 1979 as assistant dean for campus life before becoming the founding director of the Office of Minority Student Programs and developing the Multicultural Outreach and Resources at Emory (MORE) program. She has served on numerous councils, commissions and task forces at Emory. In 2002, she received the university's Award of Distinction for her outstanding contributions to the Emory community.